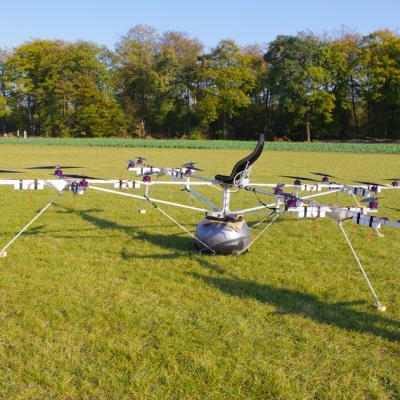 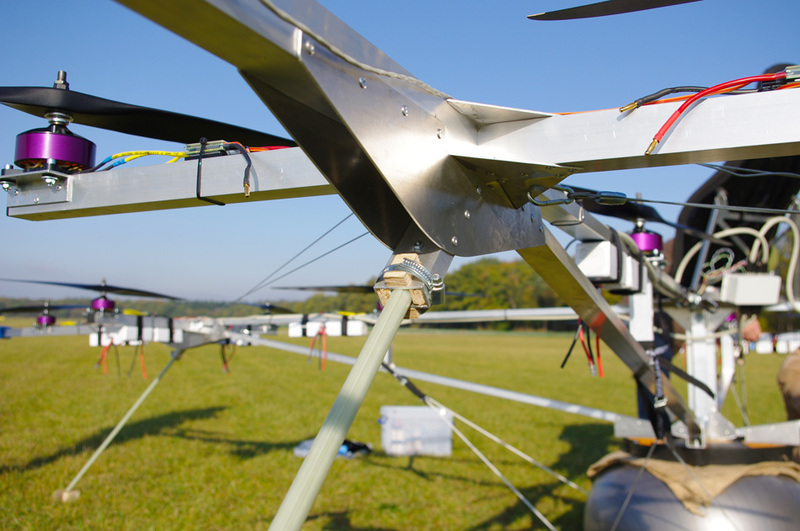 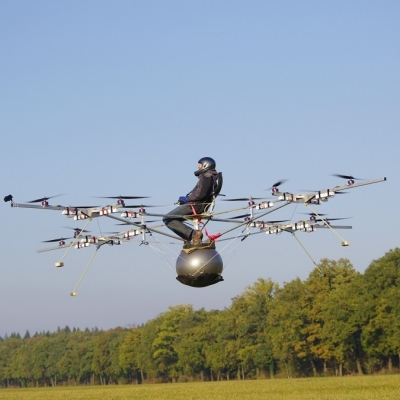 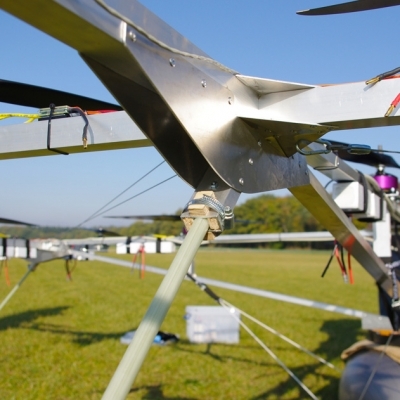 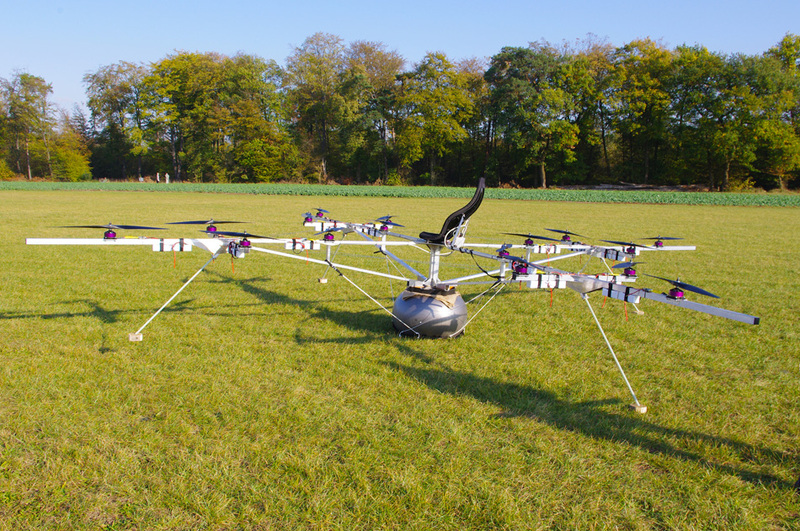 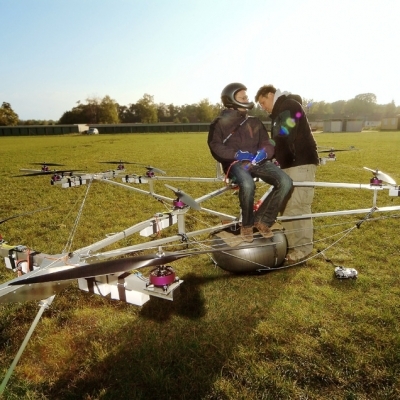 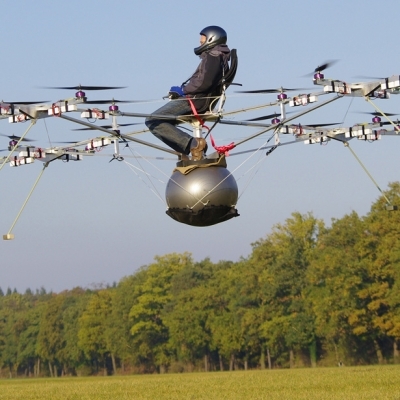 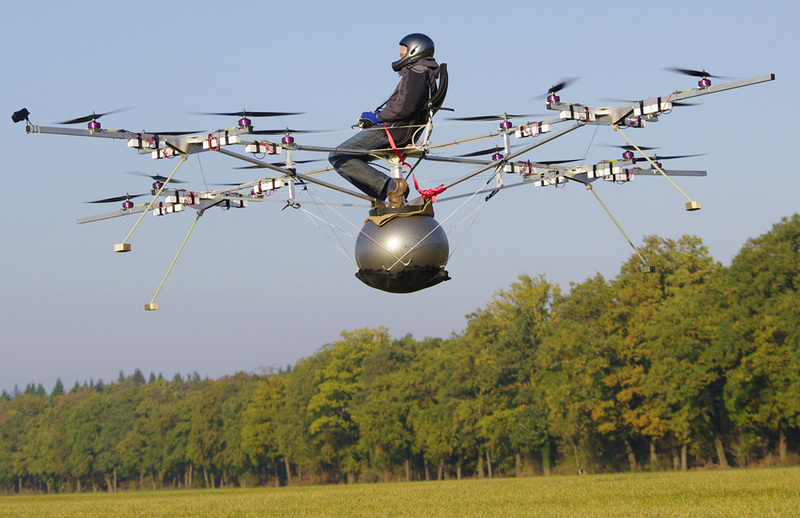 On October 21st, 2011, Thomas Senkel of e-volo made the first manned flight with an electric multicopter, the so called volocopter VC1, at an airstrip in the southwest of Germany. 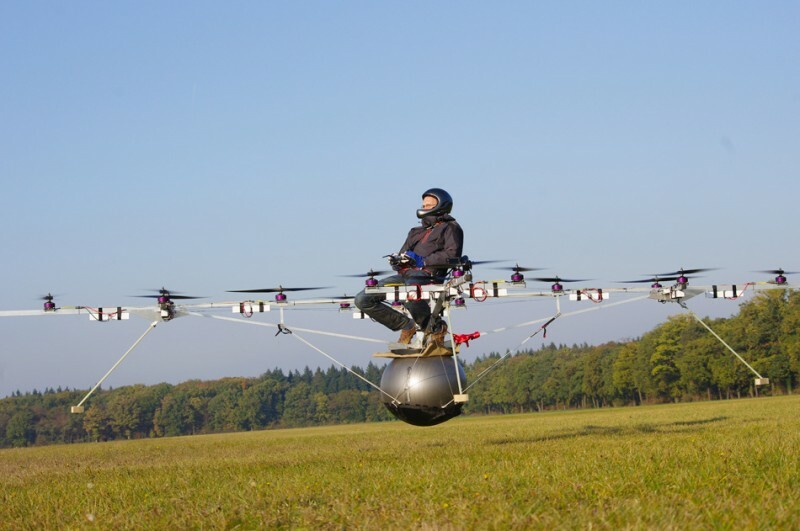 The flight lasted 90 seconds, after which the constructor and test pilot stated: “The flight characteristics are good natured. 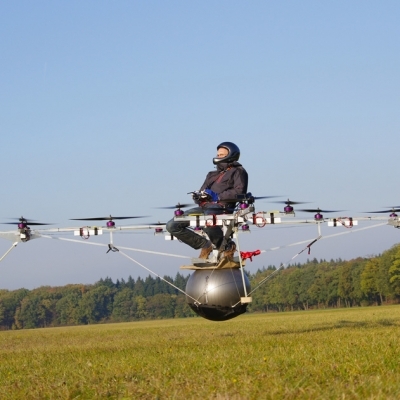 Without any steering input it would just hover there on the spot”. 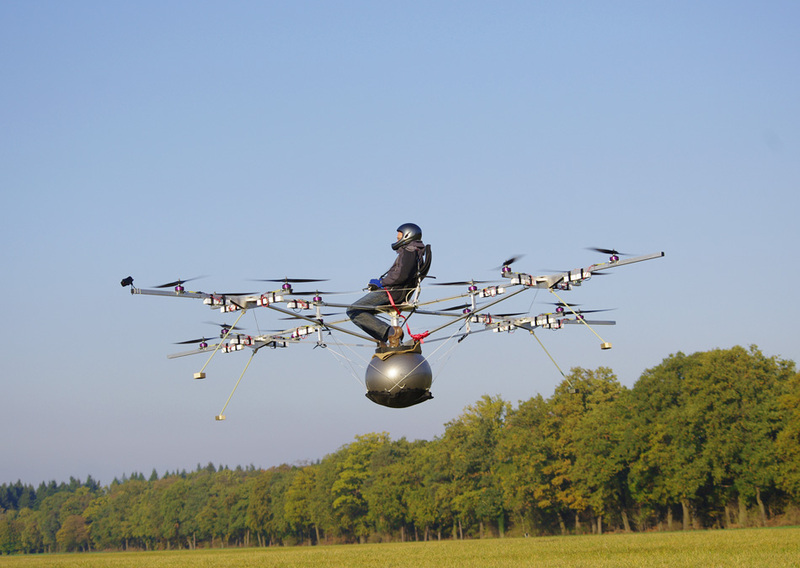 This could be the future of aviation, piloting a device as easy as a car. 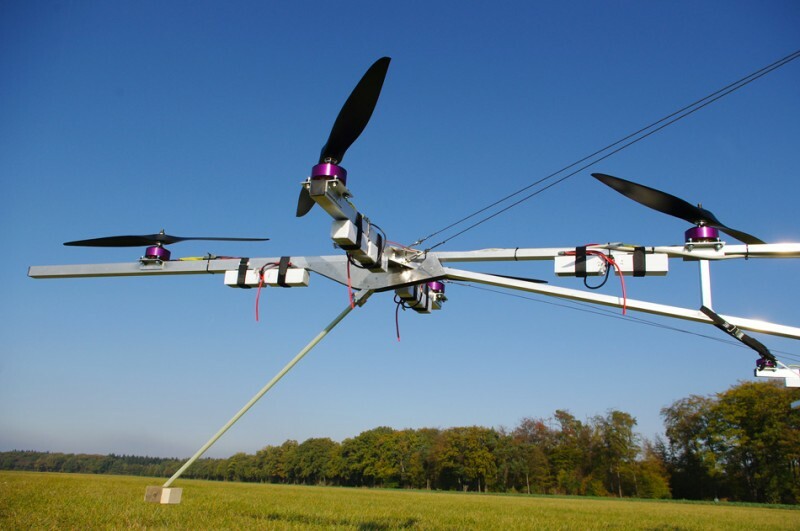 The VC1 was designed as a stepping stone towards the goal of developing manned aircraft, and at first it was intended for unmanned test flights. 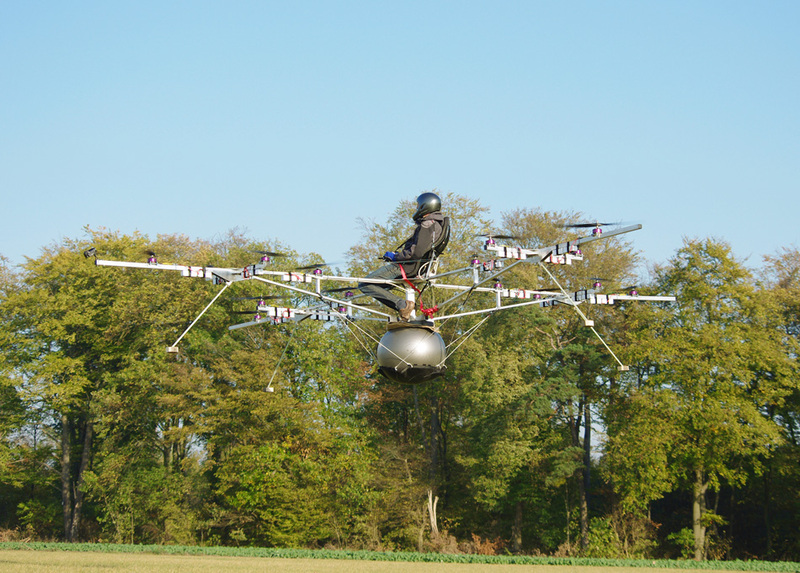 The flight performance at this stage was already so reliable that the e-volo team decided to take the calculated risk of a manned flight. 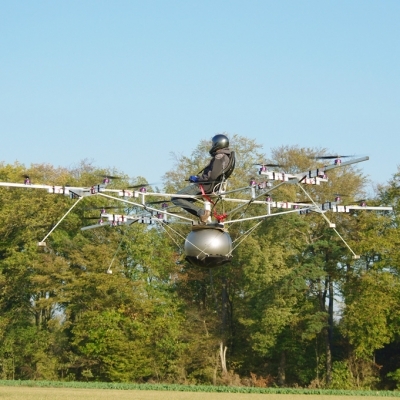 The VC1 is a vertical take-off and landing aircraft that can hold its position precisely. 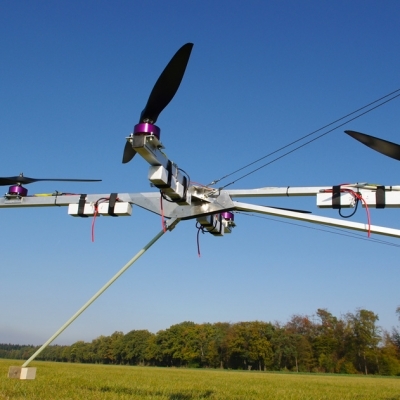 The ascending force as well as the stability in the air come from its 16 propellers. 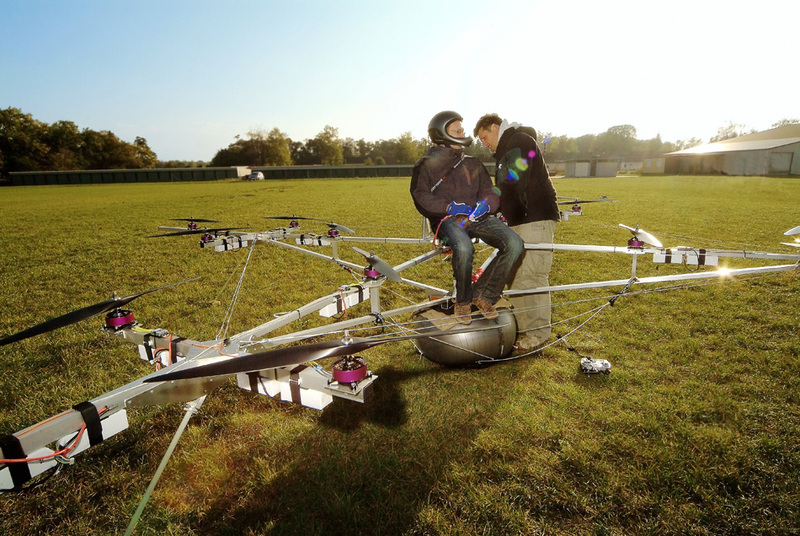 With its four arms, it measures approximately five by five meters (17 by 17 ft) and has an empty weight of around 80 kg including the batteries.